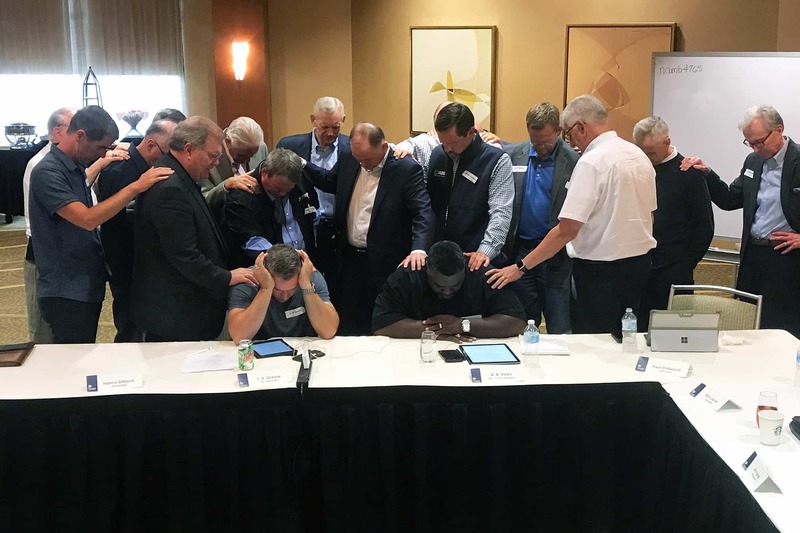 ATLANTA (BP) – Agreements to “assume the best in one another” and that a “Gospel-above-all culture needs to prevail” in the Southern Baptist Convention were among the outcomes when SBC President J.D. Greear met Aug. 20 with 15 executive directors of Baptist state conventions. Paul Chitwood, executive director of the Kentucky Baptist Convention, said the executive directors expressed appreciation for Greear’s “championing of Cooperative Program giving,” including a CP promotional video he produced recently for the Baptist State Convention of North Carolina. The executive directors also told Greear many state convention ministries already in existence dovetail with his priorities for the SBC.